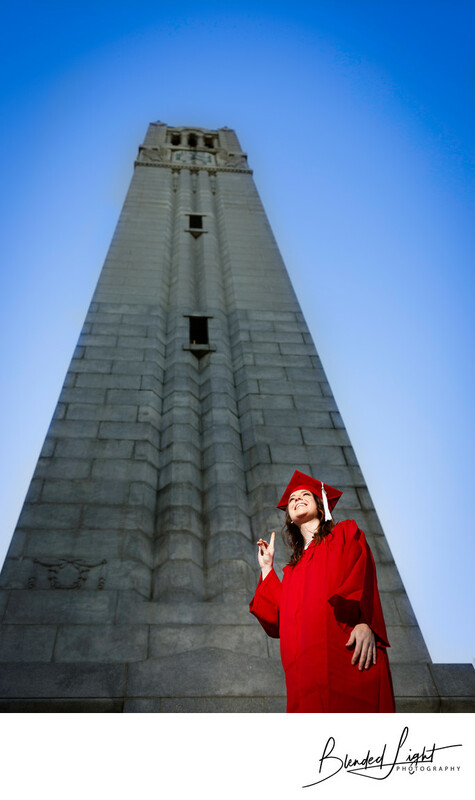 Rather than just stand infant of the NC State bell tower like many seniors will do for their senior pictures, Morgan decided to pay a homage to her university by doing the "wolf" symbol. Location: North Carolina State University, Raleigh NC. 1/500; f/2.8; ISO 100; 35.0 mm.